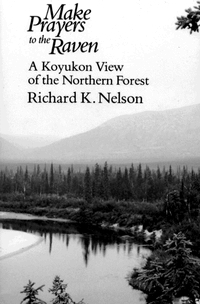 Still thinking of Alaska and the mythic heritage passed down by its indigenous peoples, I was reminded of the work of two of my favorite writers, Barry Lopez and Richard Nelson. 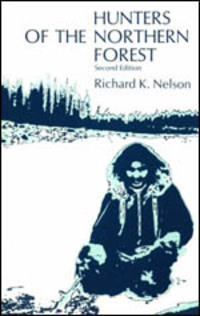 Writer and cultural anthropologist Richard Nelson was born in Madison, Wisconsin, and moved to Alaska in the mid-1960s, -- where, he says, "I have worked as an ethnographer, living intermittently in remote northern communities and recording native traditions centered around the natural world. I spent about two years in Koyukon Indian villages and just over a year with Inupiaq Eskimos on the Arctic coast — traveling by dog team and snowmobile, recording traditional knowledge, and learning the hunter’s way." Nelson has published several fascinating books based on these experiences including Hunters of the Northern Forest, Shadow of the Hunter (stories), and Make Prayers to the Raven. He is also the author of an important, controversial book about deer in North America, Heart and Blood, and of The Island Within, which won the John Burroughs Award for Nature Writing. Barry Lopez spent four years in the Arctic, traveling to remote areas that are home to carribou and polar bears, criss-crossing the vast region between the Davis Strait and Bering Strait to talk to biologists, geologists, archaeologists, rangers, Native elders and everyday folk inhabiting the far North. 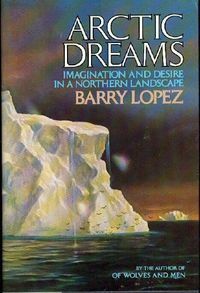 In Arctic Dreams (winner of the National Book Award) Lopez brings the landscape vividly to life with the beauty and precision of his language, arguing for the vital importance of preserving Arctic wilderness. He examines the history of the region, the legacy of 19th century explorers, and the effects of commerce and politics on the Arctic's harsh, beautiful eco-system -- all the while casting a spell that makes you feel like you're right there alongside him. Lopez grew up in New York and California, and has lived in Oregon since 1968. He is the author of a number of highly influential books about "the relationship between physical landscape and human culture" (Of Wolves and Men, Desert Notes/River Notes, etc. ), as well as wonderful works of fiction for children and adults, essays, articles, folklore collections, and an autobiograpy. 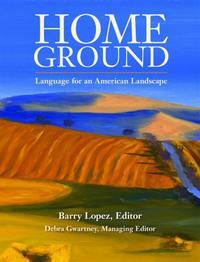 His most recent book is Home Ground: Language for an American Landscape, created with Debra Gwartney. This is a unique, engrossing volume of history, folklore, and contemporary writing defining the language of "place," of words that rise from the contours of the American continent, with contributions from 45 writers including Linda Hogan, Barbara Kingsolver, Bill McKibben, Ellen Meloy, Luis Alberto Urrea, Joy Williams, and Terry Tempest Williams. 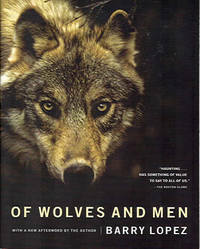 For more on the book, visit the Home Ground website. I also recommend Lopez's recent interview with Oren Lyons, Faithkeeper of the Turtle Clan among the Onodaga Nation of western New York, published in Orion Magazine. You can read it online here. For mythic fiction about the far North, I recommend Lesley Thomas' Flight of the Goose. Set in a small village on the Bering Strait coast in the 1970s, Thomas explores themes of myth, cultural conflict, environmentalism, and spirituality against the spectacular backdrop of the Arctic tundra. 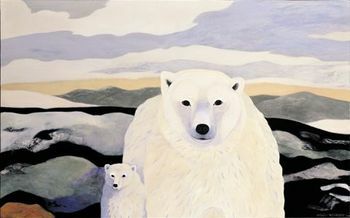 The painting above is "Arctic Dreams" by Robin Eschner. To see more of her work, including her collaborations with Barry Lopez, visit her website.